Friendly: Last year when I discovered the very graphic offerings from Meeschmosh, I instantly fell in love! 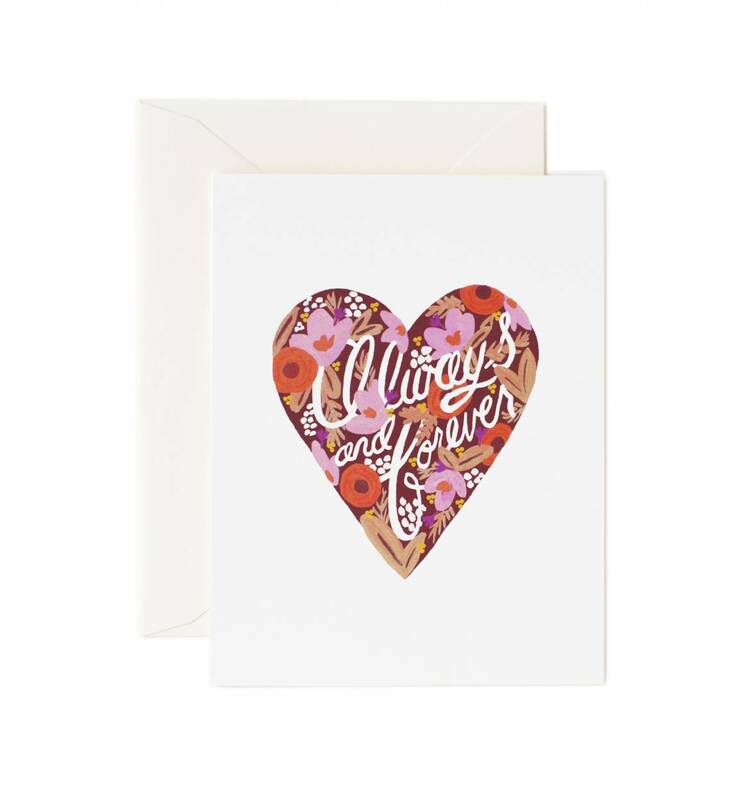 I especially love this XOXO card that adorns hearts and a striking gold foil accent. Romance: When a relationship may not be committed or is just starting out and Valentines rolls around, there’s always that awkward question of what to do. 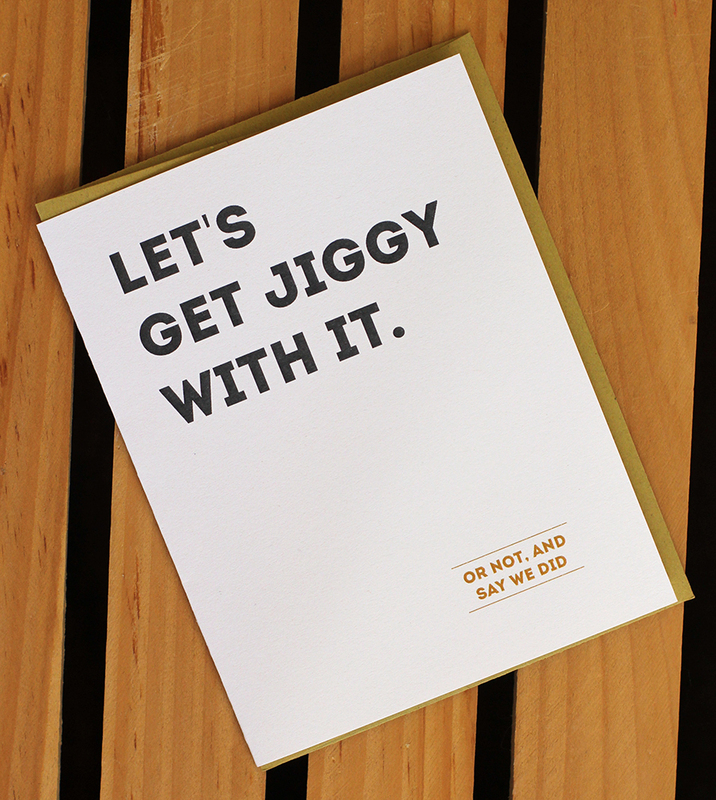 With all the pressure on love, I like how we’ve created a card that uses the other L word to share your feelings and take off some off the pressure. Friendly: My Jam – my favorite of the Felix line. Also, a nickname of mine (Jam/Jam-Jam). The phrase has a good feeling to it. I would love to be considered someone’s jam. Romance: For that awkward time before you’re officially together or haven’t really confessed your feelings to that someone special. 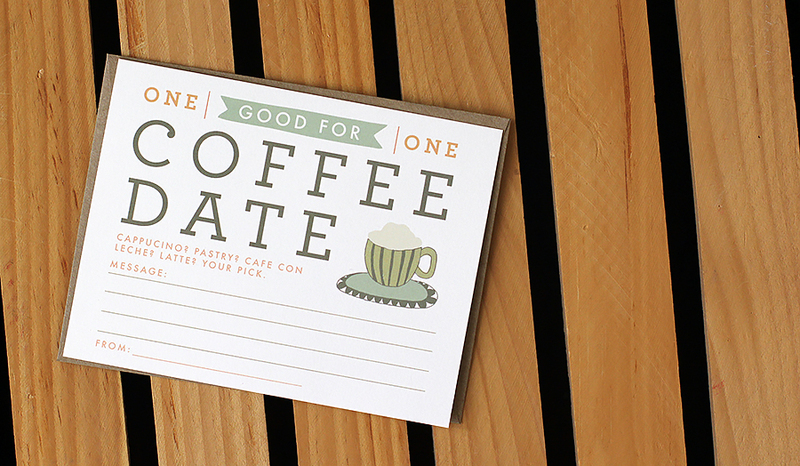 I remember what that feels like, and this card totally embodies it – from Emily McDowell. 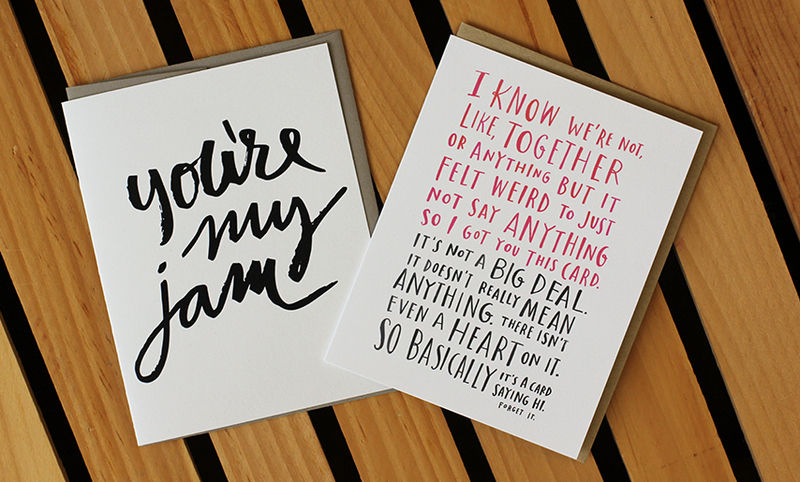 Friendly: Valentine’s Day is for lovers and friends and these two cards cover the issue. 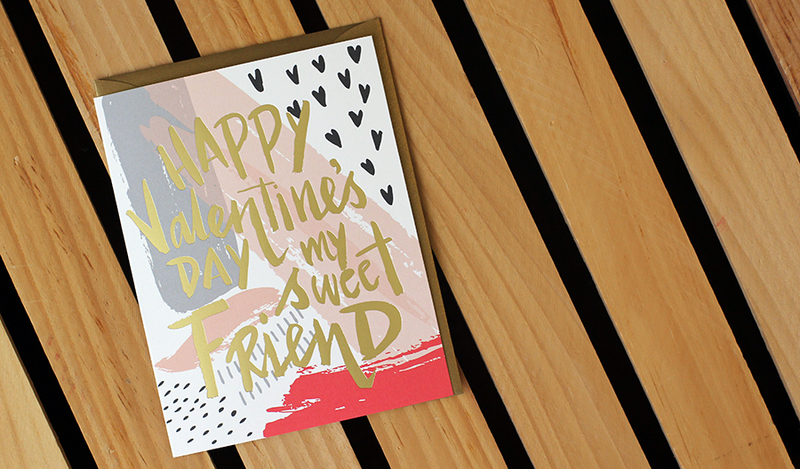 The Valentine for sweet friends (9th Letterpress) is so beautiful with eye candy design and who does not have a sweet friend? Romance: As for lovey-dovey, Rifle cards always say it best. My favorite Valentine will know he has my heart when he receives this card. 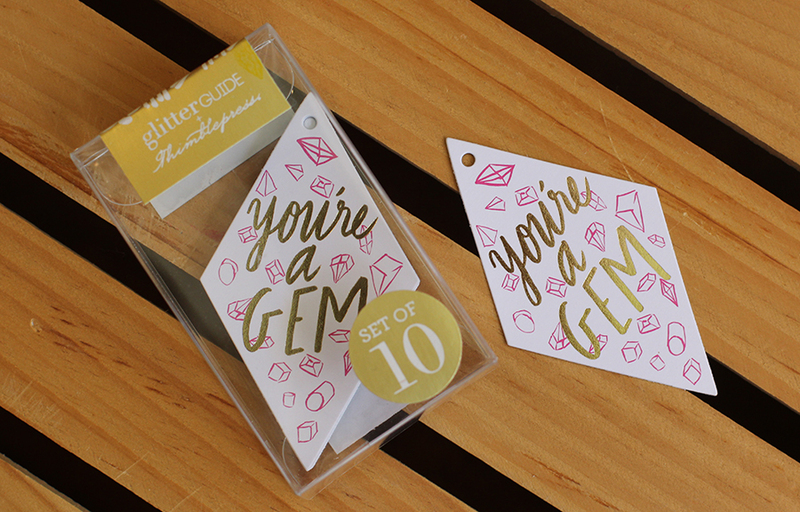 Friendly: These are actually little gift tags from Thimblepress that are so fun to send to girlfriends and attach to a little treat, a homemade baked good or even a little crafty goodness like these tassel necklaces we made at Christmas in our DIY class…. 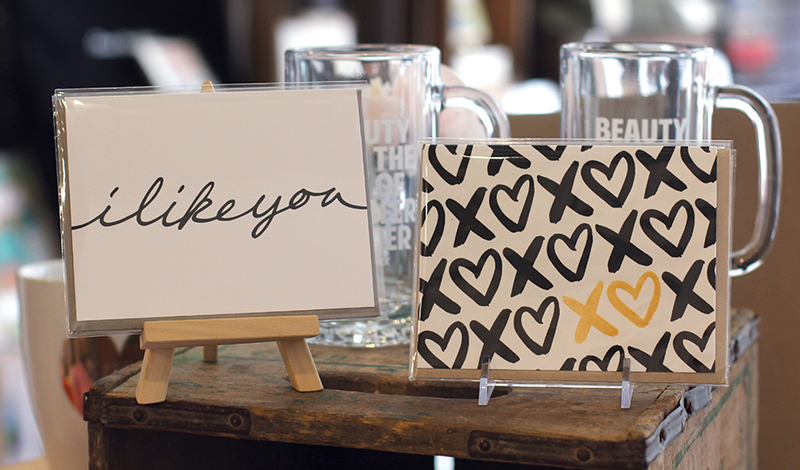 Valentines sentiments from Freshly Squeezed in Grand Rapids, Michigan. Cotton is soft, and so are you. It endures through time and memory. Now I know, lasting is your glory. That delicate texture made my hear melt. The world – never the same after our meet. None, true as yours, will fill my requests. And I promise to keep us acquainted. Like your fibers – so strong – even under fold. A couple lovies from the 6.25 Paper wholesale line, also available at our Grand Rapids store. Click here to see the full post on Neenah.